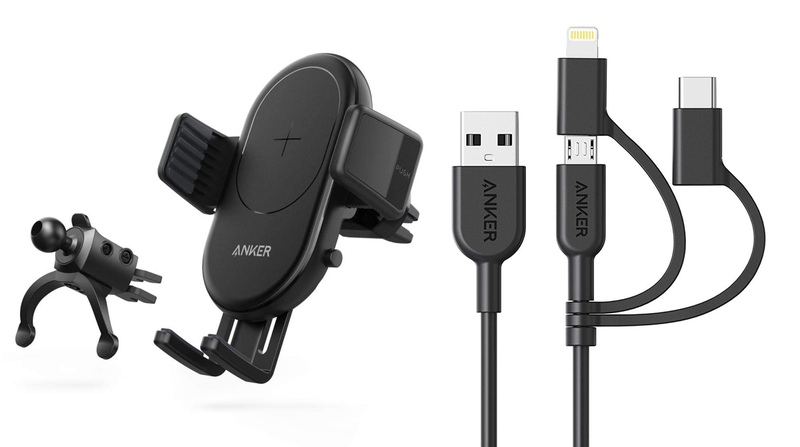 If you are looking for power related products for your iPhone or iPad then ANKER has a couple of deals today which you just can’t miss. Though the internet is flooded with a ton of deals on a bunch of products, but you’ll obviously end up buying the absolute necessary ones today. We agree with that notion therefore we have handpicked two deals from ANKER which are going to take you a few extra miles in the power department. The first deal is on the company’s PowerLine II cable which happens to be a 3-in-1 affair. Basically, it’s the company’s rugged cable which we have come to love but it’s Lightning, USB-C and micro USB under one roof. In other words: if you have this cable in your backpack then you’re practically invincible on the road. The second deal is on the company’s PowerWave charger. But this PowerWave offering is meant for the car specially and latches onto the car vent. Once set, just slap your phone into the contraption and you’ll be charging up wirelessly. Pretty cool, right? Both of these products are discounted today and can be grabbed from the links below. Don’t forget to enter the necessary discount codes in order to get the price cut right before checking out.